After a hectic first day in Brussels, the delegation walked through the crisp morning air to our only meeting of the day with Paal Frisvold. Paal has been involved a diverse range of careers, including working for the environmental activist group Bellona, the OECD and the European Free Trade Agency, and is currently involved in running the PR firm Geelmuyden Kiese. After requesting that we all introduce ourselves, Paal began the meeting by engaging in open discussion with the delegation about the recent election and inauguration of United States President Donald J. Trump, which proved very contentious as he forced us to think outside the box and ask ourselves what positives, if any, can be seen in Trump’s campaign and his policy aims. Paal then lead the discussion as to why Donald Trump was electable – what had created the conditions where he could capture the hopes and dreams of a nation? To answer this question, Paal took us back to the Bretton Woods conference of 1944, which saw the establishment of international financial bodies such as the GATT, the IMF and the World Bank, as well as the Marshall Plan. In his view, the establishment of these organisations and the subsequent liberalisation of economies worldwide (especially in regards to trade) led to the phenomenon of globalisation. The unequal distribution of the benefits of globalisation, best seen by the decline of manufacturing industries in the Western world as production moves to less developed countries whose labour laws are not as restrictive, was highlighted by Paal as a key cause of the Trump phenomenon. Following this, we discussed how tech giants Google, Apple, Facebook and Amazon (“GAFA”) had brought about an era of targeted advertising and how the nature of Facebook and other forms of social media meant that its users would inherently be immersed in their own bubble of news, only reading viewpoints that aligned with their own. 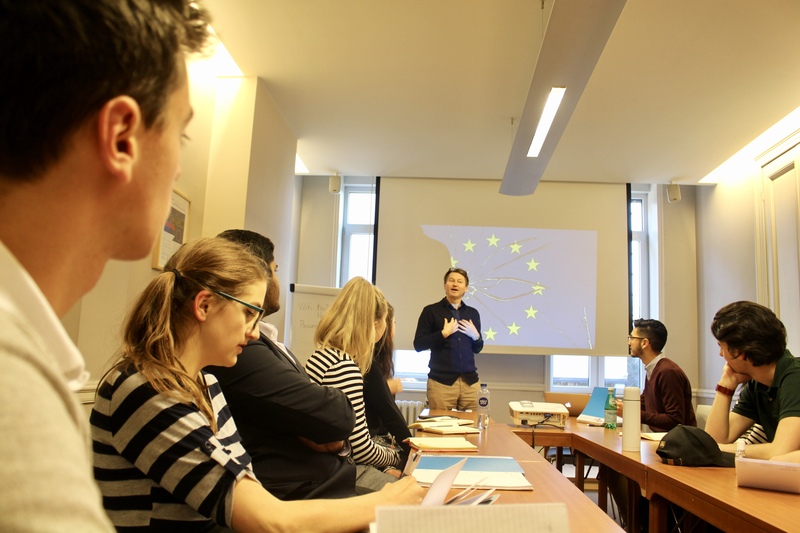 This problem of people being immersed in bubbles was discussed further as Paal talked about the weakening of the media, before he wrapped up by discussing the merits and pitfalls of the EU, and how Brexit could in fact lead to a closer, more united Europe in a best case scenario. After our meeting with Paal had been brought to a close, the delegation enjoyed a free afternoon, followed by a free day. Delegates and directors alike could be seen throughout Brussels shopping and sightseeing. Many delegates delighted in exploring the Centre Belge de la Bande Dessinée: Brussels’ own comic book museum, which celebrated local comic art such as Hergé’s Tintin. 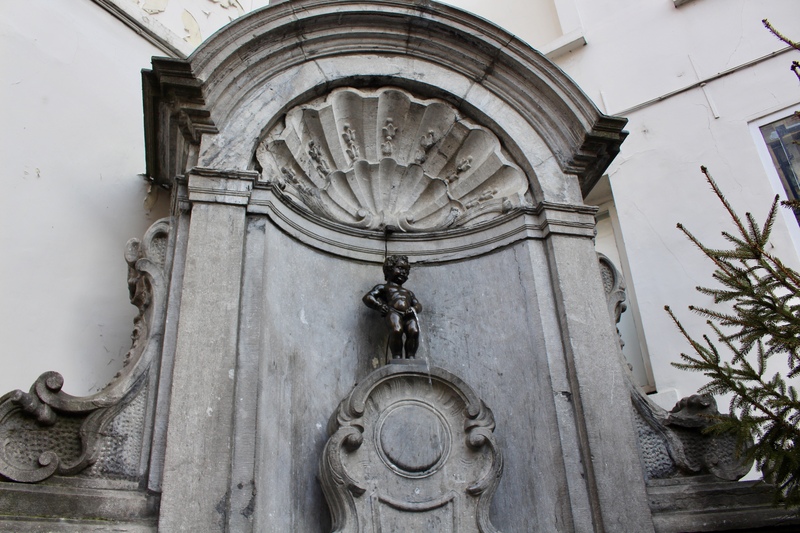 Other notable sights included the Magritte Museum, the Grand Place (the city square surrounded by intricately detailed guildhalls) and the Manneken Pis. Brussels was an amazing city, and myself and the delegates really enjoyed the experience of exploring it and learning about the Sustainable Development Goals at the same time.